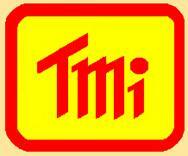 Automatic Voltage Regulators, Stabiline WHR Series | T.M.I. 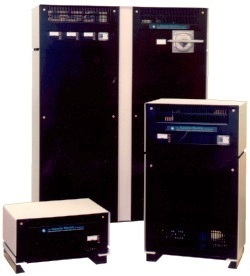 Stabiline® WHR Automatic Voltage Regulators for radio and television broadcasting AC power systems up to 660 volts avoiding utility brownouts, blackouts as well as over and under voltage conditions damaging or reducing power tube life and malfunctions. Pricing varies depending on requirement. Please email you request with full description of requirement and application to : jsantos@instrumentsgroup.co.za . Additional information will soon be placed on this page for easier selection . STABILINE® WHR Series Automatic Voltage Regulators eliminate the power quality problems maintaining constant voltage to sensitive electronic equipment. Despite technological advances in the industry, utility brownouts, blackouts and over as well as under voltage conditions continue to be a problem in voltage sensitive broadcast systems, studios, receiving stations, mobile production vehicles and remote transmitter sites. Other power line disturbances such as sags, surges and spikes can also cause equipment malfunction, hardware/software damage or reduced power tube life. WHR Series STABILINE® Voltage Regulators eliminate the power quality problems that regularly occur and which are forecasted to increase as the demand for clean power outpaces utility capability. They maintain constant voltage to sensitive electronic equipment even when the power line input voltage and system load vary widely. WHR Series units use standard control modules, power modules, enclosures and options designed and built specifically for regulator use. The use of modular construction allows a comprehensive line of regulators with ratings up to 1680 kVA and too extensive to be listed in this data sheet. 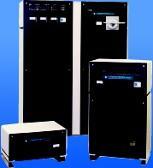 All units are available in floor mount NEMA type 1 enclosures as defined in NEMA standard ICS 1-110. Please fill in and either mail or fax the information requested on the Datasheet and Requirement Questionnaire(82KB) to obtain a recommendation for the specific model for your particular installation. WHR Series STABILINE® Voltage Regulators regulate voltage by automatically adjusting the output of an internal limited range variable transformer to maintain the desired constant output voltage. A solid-state control detects one of the line-to-line output voltages and continually compares it with the selected output and accuracy. If the sensed output is too high or too low, the control unit drives the variable transformer output to the desired value. Phase Control -Single Phase Control is used on single phase units and on multiphase power systems with balanced voltages. 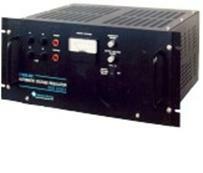 One control unit is used to sense the line-to-line output voltage on one phase. 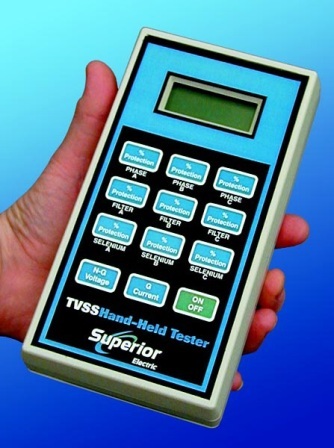 All phase voltages are increased or decreased by the same amount to bring the output voltage on the sensed phase within the desired voltage and accuracy settings. 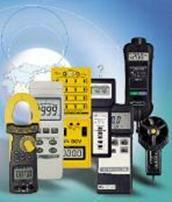 Individual Phase Control is used to correct unbalanced voltages on multiphase systems. Each phase of the regulator has a control unit that independently regulates each line-neutral output voltage. Input Correction Range - Input range is the variation of input voltage over which the regulator will maintain constant output voltage. It is expressed as a percent of desired output voltage. Units with voltage ratings of 120-127, 208 x 220-230-240 or 380-400-415 x 480 have a narrow input range of -20% low, +10% high and a wide input range of -30% low, +15% high. Low Impedance - Because the interaction of load currents with source impedance causes low voltage, harmonic distortion and voltage unbalance, the very low impedance of a WHR Series unit will not add to these problems. Load Compatibility – WHR Series units handle. Load Compatibility – WHR Series units handle loads with high starting currents, all power factors and high crest factors to power all types of equipment. To prevent instability, the speed of response is designed to work with electronic power supplies used in most modern equipment. Transient Suppression – Because transients are a major problem in broadcast locations, a high energy transient suppression option is available for WHR Series Voltage Regulators. 19-Inch Rack Mount - In addition to cabinet models, WHR Series units are available for installation in mobile production vehicles and other applications designed for 19-inch rack mounting. Several models are available in ratings to 41 KVA.